Do you have a small living room? Does it looked cluttered and feel cramped? 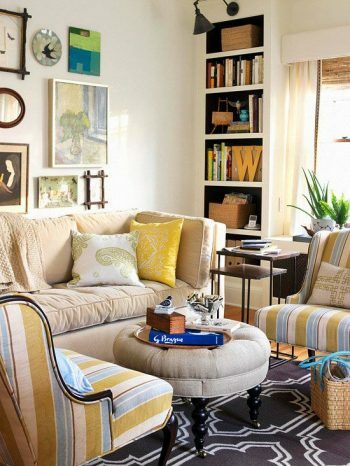 Here are some design tricks that will make your living room look bigger and feel cozier! 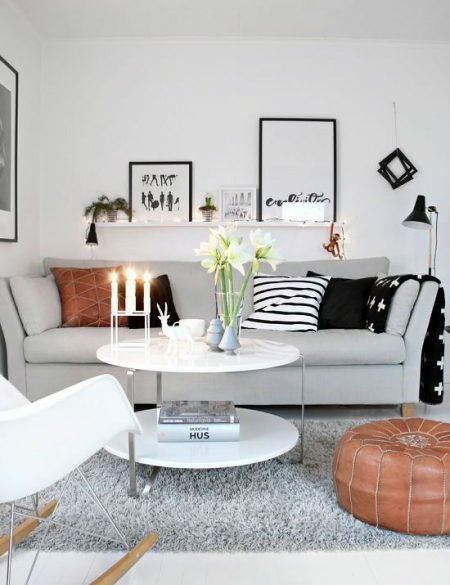 White walls will brighten up the living room. Add color through wall art and picture frames. When decorating, try to stay within the light color spectrum. Light colors will brighten up a room, versus dark colors can make a small space feel more compact and crowded. Light airy curtains add shade, but also maximize natural light. 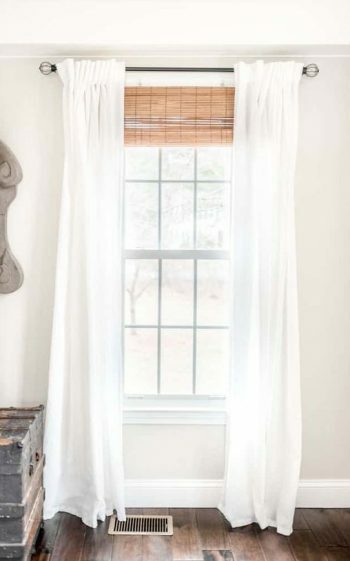 Hang the curtains higher than the window frame to add height to your small room. Mirrors are a small room’s best friend. Large mirrors will add depth and reflect light in your living room. 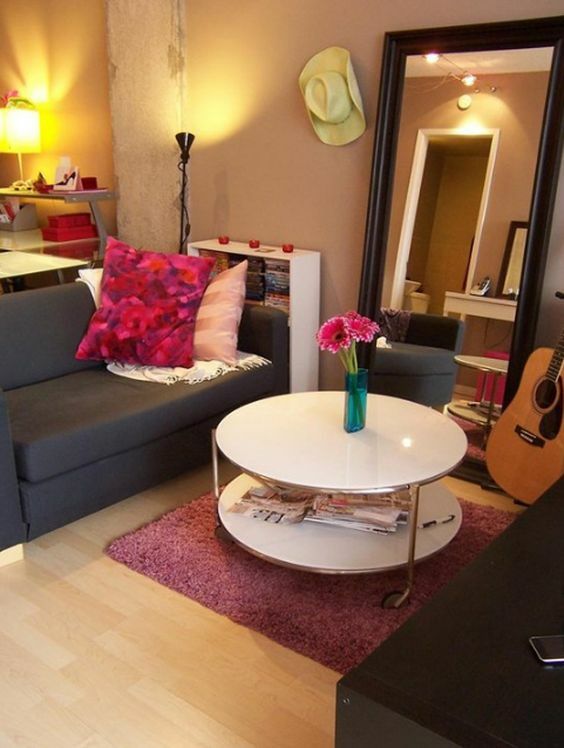 Maybe that one big coffee table is too big and bulky for the space. 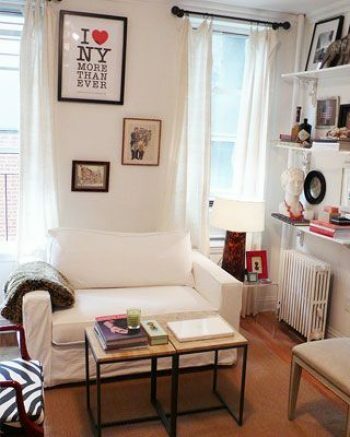 Try two small coffee tables, it’s better for traffic flow and can easily be moved. 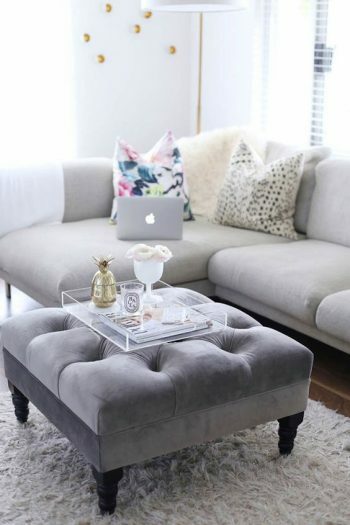 If you put a tray on top of an ottoman it can be used as a coffee table. You can also use an ottoman for extra seating. It’s the perfect multifunctional piece that doesn’t take up too much space. A large area rug anchors down the pieces in your living room into one collective space making it appear bigger. 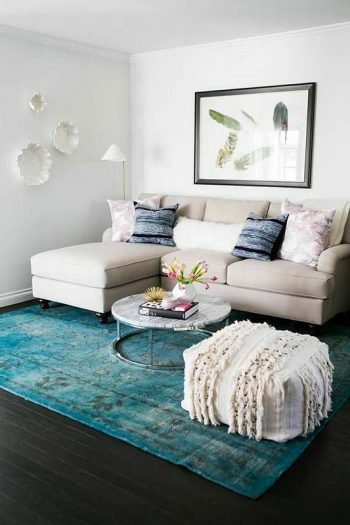 Whereas a smaller rug visually breaks up the space, making it feel smaller and cramped. 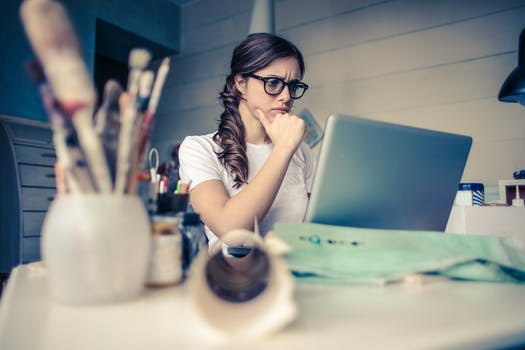 Need more design tips? Come visit our showroom and talk to one of our designers!